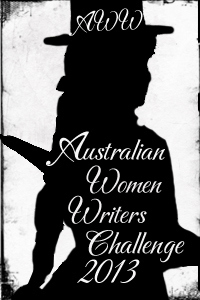 I spent all of Anzac Day and most of the following day reading about soldiers. Not Australian ones, but British ones. I was originally spurred to read this book by a question in my mind about the wives of officers in the British Army, but I then realized that British regiments have been just off-stage in the three British colonies that I’ve been studying (Upper Canada, British Guiana, New South Wales). In fact, they’ve been ON the stage all along but I just haven’t been looking there. This is not a book about great, or even non-so-great generals, though both feature in it from time to time. And it is not about battles either, even if we are rarely very far away from them. Instead, its concern is for the raw material of generalship and the pawns of battle, the regimental officers and soldiers, (and their wives, sweethearts and followers of a less defined and sometimes rather temporary status) that served in the British army in a century when it painted the world red. p. Xv. Holmes makes no secret of his admiration for the British Army- he even declares his love (and he uses that word) for “its sheer, dogged, awkward, bloody-minded endurance.” The army he describes in this book existed with relatively little change between 1760 and the eve of World War I. It had two functions: the continental one, with an emphasis on formalism in drill and dress and the scientific aspects of warcraft, and a colonial function where practicality outranked precedent, and dress and discipline were looser. It is this colonial British Army that I have been encountering in my studies without quite acknowledging it. Holmes examines both threads of the British Army, both at home and in deployments in the American War of Independence, the Peninsular campaign, in India and particularly the Indian Mutiny and finally in the Crimea. 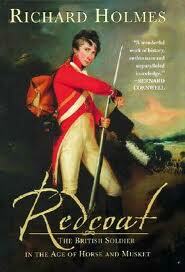 This is a strangely emotional book for a military history with humour and love written into it. I enjoyed it a great deal. 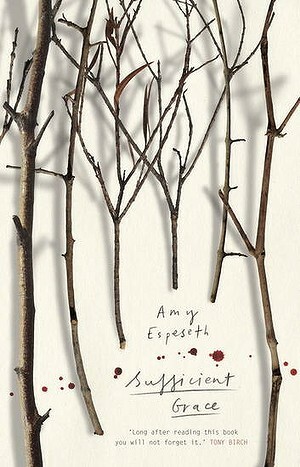 The cover of this book is well chosen: stark twigs against whiteness, tracked with blood. The novel is set in the deep frozen woods of Wisconsin, where the narrator 13 year old Ruth lives in with her extended family in a Pentecostal fundamentalist community. There are secrets and sin in this community, and the children of the family are victims and increasingly, co-keepers of these secrets. Although the book is set in the recent past where young girls can wear moon-boots and attend the local school, theirs is a claustrophobic, simple life without television and consumer goods, resonant of a nineteenth century existence. Hunting, fishing and farming are fundamental to their lifestyle, and they are closely attuned to the passing of seasons and their relationship with the food they eat- the changes in the ice, the viscerality of hunting, the harvesting and husbandry of the earth. The family live close by to each other and worship together, with the exception of Uncle Peter, who is estranged from the religion that binds the rest of the family together in such suffocating ties. The narrative is set over five months, with each month forming a separate section of the book and it is told in Ruth’s voice and from her perspective. Ruth is a watcher, hiding in cupboards and under tables, and while in a way she sees much more than her religion-blinded relatives, she also does not completely understand what she is seeing. As readers, we see before she does. Her narrative is supplemented by the hymns that shape her world view, and their simple God-based certainties of their lyrics highlight further the sweaty, murky fug of human relationships inside cabins and barns, with the stark and chilled landscape outside. This is a layered world, with fundamentalist Christianity laid over an earlier dalliance with Amish religion; with Native American and Norwegian heritage lying underneath as well. Ruth’s cousin Naomi has been adopted from the nearby Native American mission and Ruth’s grandmother too has Native American heritage that her children largely ignore, covered as it is by her deep religious faith. This is not an amazing grace; instead it is a stripped down one- merely sufficient. The biblical reference is apt because at its heart this is a story about power and weakness. At times the biblical allusions threaten to engulf the story- the Ruth/Naomi pairing; Samuel as the much wanted child and prophet etc- but there is enough weight in the descriptions of landscape, the all-encompassing faith and the murkiness of sin to balance the biblical metaphors out. This book won the Victorian Premier’s Award for an Unpublished Manuscript in 2009, long listed for the Stella Prize and short listed for the UTS Glenda Adams Award for New Writing. Read because: it was long-listed for the Stella. 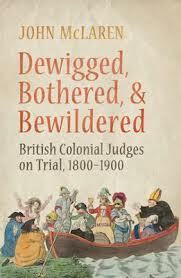 John McLaren ‘Dewigged, Bothered and Bewildered: British Colonial Judges on Trial 1800-1900’. The title Dewigged, Bothered, and Bewildered is a play on the show-tune with a similar title, (Bewitched, Bothered and Bewildered). It examines the careers of several 19th century judges of the British Empire who, for various reasons, found themselves removed or ‘dewigged’ from their positions. The title reflects the tone of this book- light and jocular at times- but it belies the sheer breadth of knowledge of individual colonies that it covers. Its author, John McLaren, is professor emeritus in the Faculty of Law at the University of Victoria (Canada) and as Bruce Kercher’s endorsement on the back cover says “John McLaren is the only person I know with sufficiently broad legal historical knowledge to attempt such a huge task, and he succeeds at it remarkably well”. It might seem strange that a book about 19th century judges starts with an analysis of judicial tenure in the seventeenth century. It was during the constitutional maelstrom of Charles and James and the Glorious Revolution that two competing mechanisms for appointing and controlling judges emerged. The ‘Cokeian’ model, associated with Sir Edward Coke, drew on the rhetoric of the Ancient Constitution and the ‘rights of freeborn Englishmen’ to argue that the King, like other mortals, was subject to the law, and that he and his officers were subject to the jurisdiction of the stewards of the Common Law, the judges of the King’s Bench, Common Pleas, and Exchequer. The rival ‘Baconian’ model, expounded by Lord Francis Bacon, emphasized the Divine Right of Kings and emphasized that judges must be the loyal servants of the monarch. Hence, under the Cokeian model, judges should be employed ‘during good behaviour’ where, as long as there was not actual judicial impropriety, the judges were independent of the Crown. The Baconian model, on the other hand, employed judges “at His Majesty’s pleasure” and kept the judges under the control of the King and his government. All this might seem far removed from a judge in Port Phillip, Sierra Leone, Newfoundland or Upper Canada 150 years later, but McLaren argues that this 17th century argument about the independence of the judges, abuses of power by the government, and local control over the judiciary was played out over again, this time in the colonies. In this book, McLaren uses group biography to examine how these battles were exemplified through the careers of a number of colonial judges from Upper Canada, New South Wales and Van Diemen’s Land, Sierra Leone, Newfoundland and the West Indies. Judge Willis has a starring role here: we meet him in the opening pages, and he is featured in two chapters. He is, however, not the only judge in this book who appears as a trouble maker in two separate colonies. Jeffrey Bent, well known in Australia for his struggles with Macquarie, reappeared in Grenada, where he again clashed with the governor. Robert Thorpe, who was a ‘radical’ judge in Upper Canada prior to Willis’ appointment, also had trouble in Sierra Leone, and Sir John Gorrie seemed to be shifted from place to place when he fell out with various people in Fiji, the Leeward Islands and Trinidad. There are a number of troublesome judges whose travails were restricted to one colony alone: Boothby in South Australia; Sewell and Monk in Lower Canada; Montagu in Van Diemen’s Land; Beaumont in British Guiana. The chapters are arranged thematically, but chronologically and geographically as well. For example, the chapter ‘Courting Reform in a Counter-Revolutionary Empire 1800-1831’ deals with Robert Thorpe and Judge Willis in Upper Canada, where the judges’ reforming zeal clashed with conservative local interests. It is followed by a chapter that makes the argument in the opposite direction for other British North American colonies ‘Ultra Conservative Judges in an Era of Developing Reformist Sentiment in the British Empire 1810-1840’. It covers similar years to the first chapter, but this time switches the focus around. It examines the cases of Sewell and Monk in Lower Canada and Henry Boulton in Newfoundland, where conservative judges fled the radical colonies for the protection of the home government. Chapters 6-8 are focussed on Australian examples. Chapter 6 ‘Guarding the Sanctity of the Common Law from Local ‘Deviations’ in Convict Colony 1800-1830’ examines the career of Ellis and Jeffrey Bent in New South Wales, followed by Ch 7 ‘English Legal Culture and the Repugnancy Card in the Australian Colonies 1830-1850’ which follows on chronologically in examining Montagu and Pedder in Van Diemens Land, and Willis in Port Phillip. The term ‘repugnancy’ refers to the tenet that colonial law should not contradict English law. Part of a colonial judge’s role involved analysing local laws drawn up in the colony and advising the governor whether the law was ‘repugnant’ or not. Chapter 8 takes up the repugnancy question in Australia after 1850 with Benjamin Boothby in South Australia. Chapters 9 and 10 examine judges in the slavery colonies in the West Indies and West Africa, with George Smith in Trinidad, Thorpe in Sierra Leone and Jeffrey Bent in Granada between 1800-1830 in Chapter 9. In Chapter 10 the time frame shifts to 1834-1900 with Joseph Beaumont in British Guiana and Sir John Gorrie in Mauritius, Fiji and Trinidad. The final chapter draws together themes that emerge throughout the stories. In a way, this chapter subverts, or at least challenges, the structural logic of the other chapters because some of these judges, Willis in particular, are not easy to pigeonhole. It is the PhD student’s nightmare that a highly prominent, esteemed and widely published academic release a book on one’s very topic while you are still working on- or worse, just as you finish- your thesis. I became aware of John’s work while I’ve been working on Willis myself, and it was with a mixture of trepidation and curiosity that I read his book. I gained much from it, particularly in being able to compare Willis with other judges in similar situations, and it’s with relief that I can see where my own more bottom-up work can fit under his broad umbrella of judicial misbehaviour and discipline. A group biography, like this one, has challenges beyond that of the individual biography. There’s a danger that so many situations and people are introduced that the whole thing breaks down in confusion, but there’s also the advantage of being able to better define the exceptional. I think that a sign that McLaren has succeeded so well is that on encountering a particular judge a second or even third time, there is a rush of recognition. His judicial characters are so well drawn that when the final chapter draws together observations from across the work as a whole, there is no need to check back to see ‘now, who’s he again?’ The book is suffused with a lightness of touch and a sure grasp of the contours of so many different colonies that comes from the author’s long, deep immersion in colonial legal history. Judicial biography and Pamela Burton’s From Moree to Mabo. Lurking under the general heading of ‘biography’ are a whole range of particular genres of biography that have their aficionados but are rarely found on the best-seller lists. Judicial biography is one such genre. Because my research interest is a nineteenth century judge, I’ve been delving into quite a few judicial biographies and becoming even more certain that my work could not usefully be described as ‘judicial biography’ at all. More recent judicial biographies are lighter on the moral lessons, but sometimes they do still tend to be rather hagiographical and worthy. They are often written by judges and lawyers (and to a certain extent they need to be if the courtroom aspect of their life is to be examined critically) but they are often permeated by a sense of deference that emerges, perhaps, from a life spent within a hierarchical system. In this regard, they remind me of military biographies, where everyone is named, lest offence be caused by omitting someone important; and there’s a masculine clubbability that underpins them as well. Judicial biographies must provide explanations and analysis of, at least, the major cases; explore the judge’s interpretive strategies and decision-making processes; expose intra-mural relationships— collegiality, collaboration and confrontation—with other Justices; trace the origins and development of the judge’s character, beliefs, views and motivations; and delineate the influences—public and private—on the judge’s opinions and decisions. 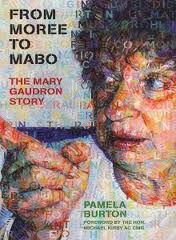 So, hedged with all these exhortations and injunctions, how does Pamela Burton’s From Moree to Mabo: The Mary Gaudron Story stack up? For a start, that masculine clubbability is challenged from the outset. Mary Gaudron was Australia’s first female High Court judge, and her biographer is a woman as well. There is still just a hint of that professional in-groupness that is so impenetrable to outsiders, but because it is interwoven with the personal and political, it does not skew the whole worldview of the book. The author Pamela Burton is a barrister herself, and as well as founding her own law firm, was a Senior Member of the Commonwealth Administrative Appeals Tribunal and was legal counsel for the Australian Medical Association. Her experience serves her (and thus, us) well. 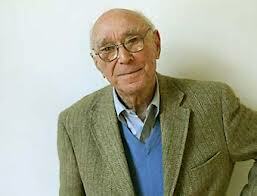 As Posner, Chief Judge U.S. Court of Appeal (1995) wrote, it is difficult for a non-lawyer to write a judicial biography. A quick flip through the index to the book highlights the heavy use of court records and case reports. There is no doubt at all that this is a life spent in the law. She presents the cases well, with enough background for someone unfamiliar with them to make sense of them. It’s a difficult line for an author to tread: enough evidence from the judge’s behaviour in court to support the observations made in the biography, but not so many that the reader- particularly a non-lawyer reader- feels engulfed. To my way of thinking, a biography is not just a chronicle of events. While the elapse of time does impose a certain chronological shape to the subject’s life, it is the author’s decision where to place the emphasis and how much space in terms of pages to devote to various aspects of a life. 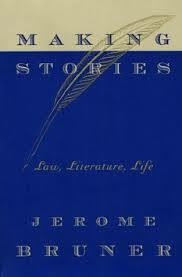 The author is an active agent in the telling by crafting an argument about what this life means. Burton grapples with the issue of politics and the law by exploring the nature of ‘political connections’ as a means of progressing a career and yet resisting being captured by one side of politics. She takes the issue of judicial logic and intellect very seriously, and in this regard the book could be just as easily conceptualized as an intellectual biography as a judicial one. She balances the personal, the political and the professional. Gaudron did not co-operate in the writing of this biography: in fact she said that she had a horror of biographies. The bibliography of this book shows where the author mined to gather her material. There are three boxes of her papers at the National Library, but these only go up to 1979 and the Conciliation and Arbitration phase of her career. There are three oral histories, but one of them is closed to research and public use until 5 January 2043. Gaudron herself has written the foreword to others’ books and some articles, but the bulk of the primary material is drawn from Gaudron’s speeches and court transcripts. The author undertook extensive interviews with Gaudron’s colleagues, although not all wished to be named. As the author herself admits “A measure of boldness is required to write a biography of a living person who is not enthusiastic about it being written.” (p. xviii). I must admit that I would quail at the thought. Thomson, James ‘Biographies and Biographical Writing’ in Michael Coper, Tony Blackshield and George Williams (eds. ), The Oxford Companion to the High Court of Australia, 2007 p.